During the dry months, runaway wildfires threaten many areas. When they happen, massive swathes of forest are consumed by the angry flames. Firefighters put their lives on the line to contain and extinguish the blazes. In some instances, the fires threaten people’s property and homes. One spark is all it takes to start a devastating fire that can cause massive property damage and loss of civilian lives. The trees in your garden are as vulnerable as those in the forest to catching fire. If they are not tended to and regularly trimmed, the risk becomes worse. Are all trees vulnerable to fire? Always clear away any dead leaves, sticks, and twigs from the bottom of the tree. This tree debris acts as tinder. It is quick to burn when touched by a small spark. As it burns, it can set the tree alight as well. A tree with peeling bark is also a risk. The bark must be excessively dry to peel. This makes the bark perfect kindling to start a fire. Remove all peeling bark from the tree. If the tree is diseased and the disease is causing the bark to peel, attend to it. Dry tree limbs may cling to the tree or fall from it. Those still attached to the tree should be removed and destroyed. Remove anything that falls from a tree. Trees with conditions that cause them to rot or grow a fungus are another potential risk. A dying tree is the biggest fire risk among all trees. Trees that are planted too closely together can spread fire. Keep a gap of 5-10 feet between trees. Prune to achieve this if necessary. This horizontal spacing between trees can prevent a catastrophic fire. Implement a vertical tree spacing plan as well. Make sure that the tree line is nowhere near the ground. Burning dead leaves and sticks can spread to the tree itself if its branches and leaves are too close to the ground. Prune the limbs of the tree to create space between the branches. This approach can prevent the spread of fire upward or downward. Keep trees well clear of structures. Prune them in such a way that they do not touch the roof of your house. Keep a space of at least 10 feet between your trees and home. If your home is adjacent to a wooded area, create a fire break. This is a treeless space between the woods and the line where your property starts. How can I make sure my trees won’t threaten my home during a fire? Consult a specialist by calling (818)888-9248 who can make sure that your trees are not causing any fire hazard to your home. 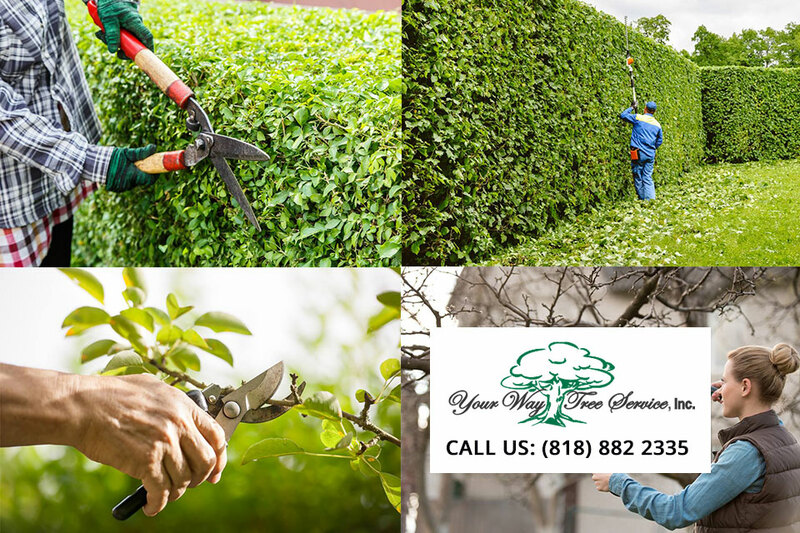 Our tree trimming Bel Air services means that residents can rest easy knowing their trees don’t threaten their houses. 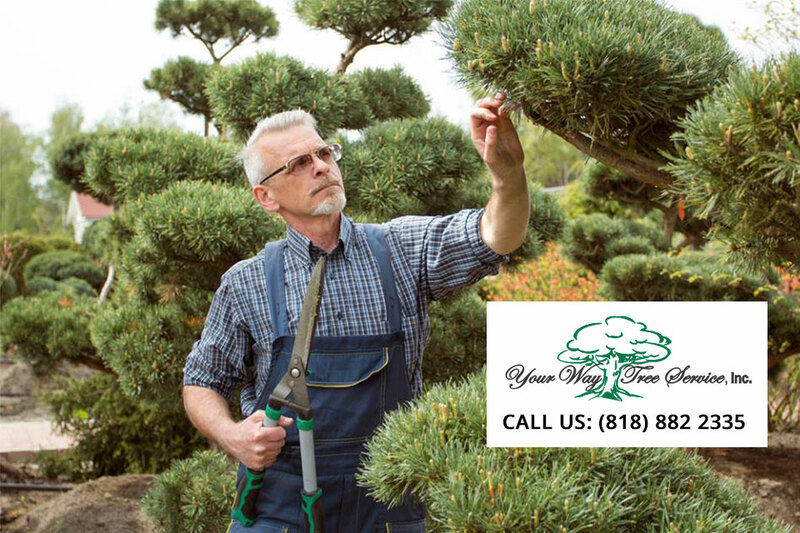 Similarly, our tree trimming Beverly Hills and tree trimming Sherman Oaks services can give residents of these areas some peace of mind.